Thanks for hanging around! 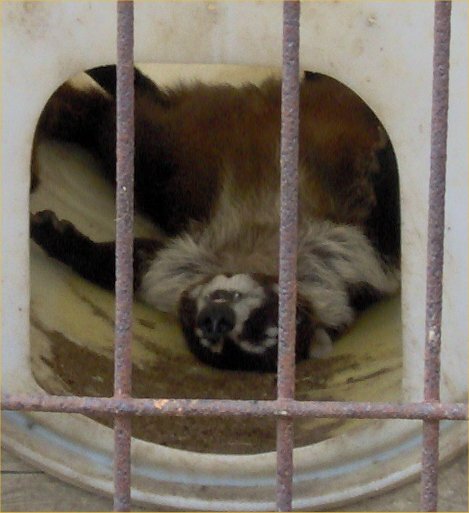 I could not resist putting this photo of a sleeping coatimundi up somewhere on my web site! I took the photo at the Land of the Little Horses on 7/29/07. The main animal index is where one should go to find animals on this site for now. I am moving files around right now. This page links to various animal web pages that do not fit into my other subdirectories. These include my pages on dogs, anoles, and more. To see a list of pages on the animal subdirectory, go to the Animal Pages Master Index. A complete list of my animals can be found here. Here are where animals can be found all over my site.